Enlarge/ Original production company Sunrise is attaching this image to its announcements about the new live-action Cowboy Bebop. But does that mean the series will look anything like this? There’s no telling at this point. We only have a teaser trailer and a list of writers, directors, producers, and supervisors, but it’s enough to get a certain jazzy anime theme song rocking in our heads. 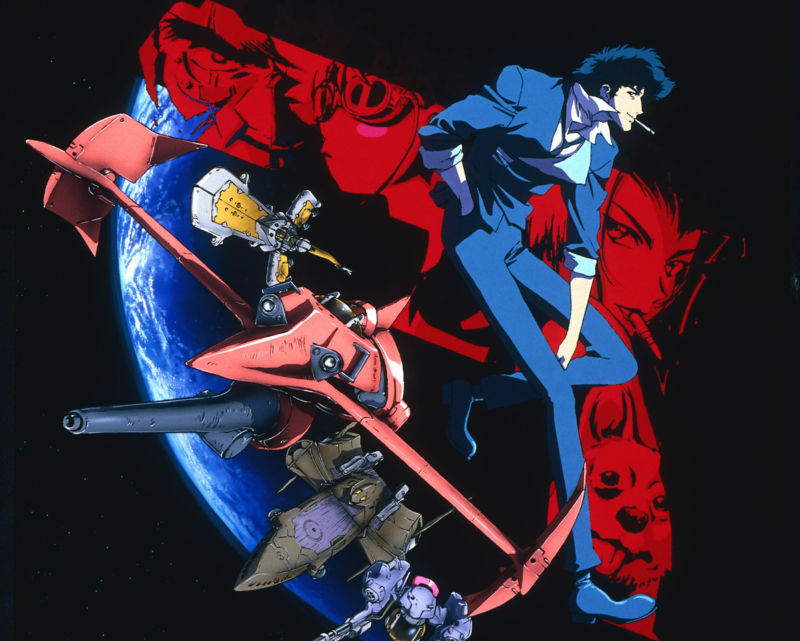 That’s right: the late-’90s Japanese cartoon Cowboy Bebop is coming back. As, um, a live-action series? Netflix posted the news announcement on Tuesday night, though unfortunately, it had nothing in the way of series footage, as the cast hasn’t been picked. Plus, the reveal video forgoes music, so there’s no telling whether original composer Yoko Kanno will return with her inimitable noir-jazz chops. But the series’ premise—four bounty hunters roaming the galaxy in search of hard-boiled hijackery—appears to be intact, according to a followup press release. Netflix, in an apparent attempt to assuage anxious “uh live action?” responses, immediately informed fans that original animated series Director Shinichiro Watanabe will participate as a “consultant.” The press release also confirmed that the series’ original Japanese production company will share executive producer duties, but the project otherwise doesn’t appear to include other original staffers—and has hinged the first episode’s writing duties on a Westerner, Chris Yost (Thor Ragnarok). Though this announcement doesn’t include an expected release date (again, no cast! ), it does officially beat a long-rumored project to the punch that Keanu Reeves has been linked to for years. Fans have been quick to remind Netflix that a live-action series about a ragtag, imperfect crew of bounty hunters, flying around a wild sci-fi universe and set to a gorgeous, nylon-string score, already followed Cowboy Bebop‘s 26-episode run. It’s somewhat easier to get excited about Netflix’s other huge Tuesday anime announcement, since it’s a known quantity: Neon Genesis Evangelion is coming to the service in spring 2019. By that, we mean the TV series’ original mid-’90s run of 26 episodes. On top of that, Netflix confirmed that it will host the premiere of the latest Ultraman anime series—which is a conversion of the latest manga reboot of the original TV series (whew)—in April 2019. This fusion of hand-drawn and CGI animation was announced in late 2017, but Netflix’s ties to the project only became apparent this week.